As any rider knows, having the right gear for the journey is always an important element of success and enjoyment. With our selection of Polaris off-road/street apparel, find all the essentials and a few great extras to make the most of your next ride. We offer a diverse selection of high-quality solutions for men, women, and even youth sizes to ensure you always find exactly what you seek. From ponytail holders and arm sleeves to tees and sweatshirts, find all the latest styles when shopping our selection of Polaris off-road/street apparel. 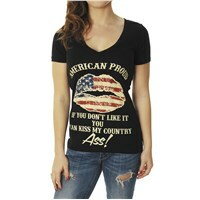 When looking for options that are casual wear such as graphic tees and tanks, find it all right here. From button up men's shirts to ladies tanks, find the right look for the occasion and your sense of style. All of the options we offer are made with high standards in terms of quality materials and thorough construction to ensure a durable option you will enjoy wearing for years to come. While we offer plenty of options for the casual day, we also offer options perfect for riding in our collection of Polaris off-road/street apparel. When looking for eyewear and helmets to stay safe and in style while riding, we have you covered with several reliable options sure to please. When you need protective gear such as elbow or knee pads or chest protectors, we have those in a variety of options as well for the more extreme rider or competitive events. Whether looking for an option for a casual day showing off your love of the brand, an option for a fun day of riding, or a solution for your toughest ride yet, we have you covered with our selection of Polaris off-road/street apparel. Find it all right here! We are committed to delivering a hassle-free shopping experience with every order. If you have any questions while shopping with us, please reach out today for further assistance. Our staff is always happy to help in any way!